Published: Dec. 12, 2016 at 09:40 p.m.
New England Patriots QB Tom Brady strikes a pass in traffic to wide receiver Malcolm Mitchell for a 6-yard TD. Published: Nov. 28, 2016 at 12:23 p.m. Despite losing the snap, New England Patriots quarterback Tom Brady muffs the snap, but still throws a touchdown to rookie wide receiver Malcolm Mitchell. Published: Nov. 27, 2016 at 10:12 p.m.
New England Patriots quarterback Tom Brady throws game-clinching TD pass to Malcolm Mitchell against the New York Jets in Week 12. 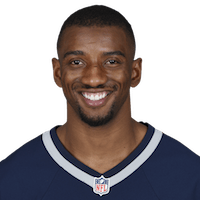 Published: Nov. 20, 2016 at 07:04 p.m.
New England Patriots QB Tom Brady completes a dart to wide receiver Malcolm Mitchell for the 56-yard TD.